The list below explains the current curriculum at our academy. Each level has a corresponding sash color. 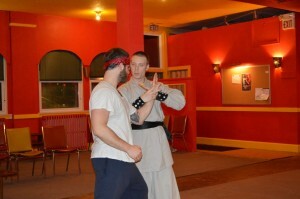 It is important to wear your appropriate level's sash so that the instructor can easily identify your current level. 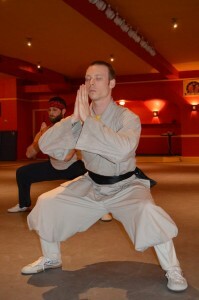 Each level's curriculum is divided into three categories: Forms, Qín Ná, and Horse Stance. Students are tested on these three areas in order to proceed to the next level. Qín Ná - Qín Ná (pronounced "chin na") literally means "catch & lock" but is commonly referred to as Joint Lock exercises. These movements comprise the basics of any self-defense curriculum and teach student how to protect themselves from attackers. Movements begin with simple wrist and elbow joint locks and gradually move on to more complex techniques such as grappling and throwing as the students advance.